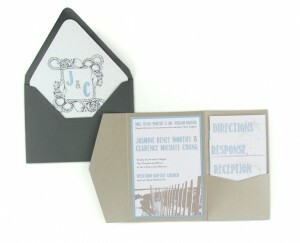 We thought the muted woodgrain back of Limba card stock would be perfect for a rustic beach feel invitation. 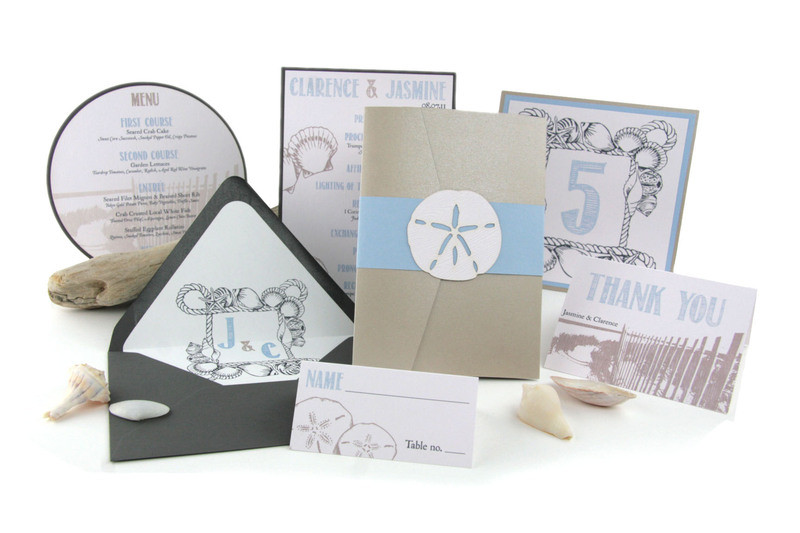 The blue card stock, sand signature pocket invitation, blue belly band, and a sand dollar monogram brought it all together. We couldn’t just stop with the invitation, though. We loved the way the subtle texture came through on the prints, so we carried the theme across the entire suite. 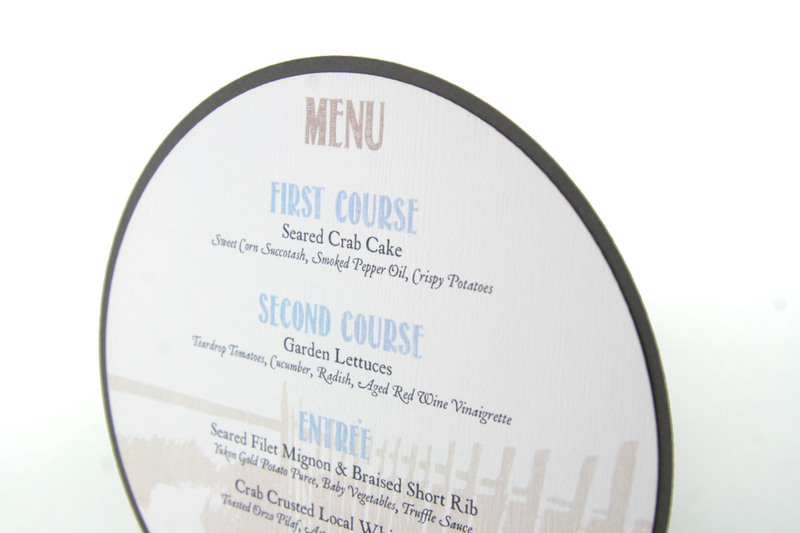 The blue card stock, sand signature pocket invitation, blue belly band, and a sand dollar monogram were all printed on the smooth back of Limba to give a weathered elegance to each piece in the entire suite.